All are welcome at Ecole Chandieu as of 18h and until 21h30. Former Mayor of Geneva and current City Counselor Esther Alder will dedicate this evening to the United Nations Global Goals. The forum will bring together some 50 associations and organizations from the neighborhood with the aim of increasing social cohesion and collaborative action. Pictures will be posted on: https://www.facebook.com/TheBridgeFoundation2015/ and the UN ACT4SDGs platform. http://badilisha.org https://www.facebook.com/evans.odula A 36 year old former DJ buys land on Rusinga Island and turns it into a permaculture paradise engaging the entire community in his project. Reforestation is the focus of this activity for the SDG Global Day of Action! People from the Sinjar region in Iraq suffered greatly as they escaped from ISIS with their families, were sieged on Mount Sinjar for days without food and water and withstanding harsh climate, witnessed their family members being kidnapped or killed, and were displaced in IDP Camps. Yazda’s Mobile Medical Unit provides basic health services to 35 villages in the Sinjar area where other medical facilities are not easily accessible. It assists around 2,000 patients every month and offers emergency transport to larger hospitals when needed. Additionaly, Yazda conducts informal education projects for children with focus on literacy and English language. The program allows Yazda staff to assess cases of vulnerable children with emotional issues and address them through one to one follow-up and re-socialising activities. Les élèves qui oeuvrent tant pour l'écologie que pour l'environnement avec un projet de jardin pour apprendre aux élèves à manger bio, un projet d'élevage des oiseaux de basse-cour, un bassin de poisson, etc. About the Bridge Foundation: Relations-building between people and across borders is the focus of the Bridge Foundation. Through the “Education is a Window to the World” program, The Bridge Foundation raises awareness about global challenges (economic, social and environmental) and develops practical solutions at local level. Actions are aimed at youth and decision makers, particularly with the business sector and with a geographic focus on Poland, Canada and Switzerland. This year the focus is on preparations for the COP24 Climate Conference that will take place in Katowice, Poland in December. 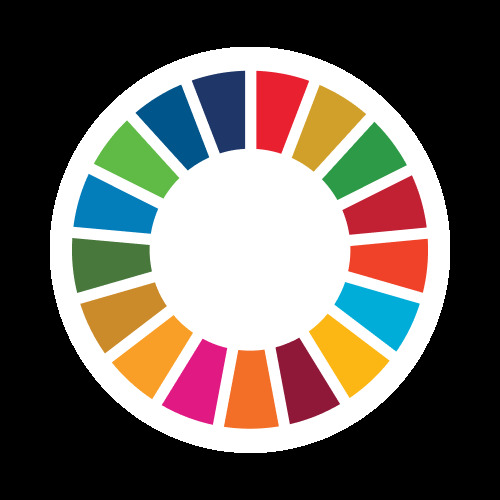 During the year numerous activities will take place to raise awareness about the 2030 Agenda for a better world (also known as the Sustainable Development Goals agenda) in the run-up to the climate conference with events in Poland, Switzerland, Canada and satellite events on all continents. The aim is to bring a universal message of SDG and climate action to COP24!